Do you know that a 3D printer can help you produce usable objects? This page will help you understand the power that 3D printing technology is capable of delivering. 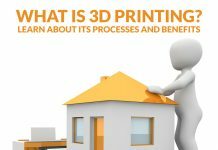 If you find 3D printing interesting, there’s more about it that you should know. A 3D printer is powerful enough to bring to life anything you have in mind. 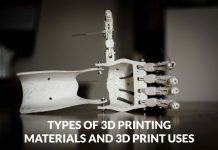 If you are wondering what 3D printing can offer, this page is for you. The following list contains the cool 3d prints that you can enjoy from a 3D printing machine. Check it out and you will surely be impressed. While it may sound unusual, yes, there is a self-replicating 3D. This allows you to 3D print a 3D printer. Adrian Bowyer was interested in creating an artificial, self-replicating machine and he realized this idea when he created RepRap. Since Bowyer wanted his creation to self-replicate, he left it as an open source. 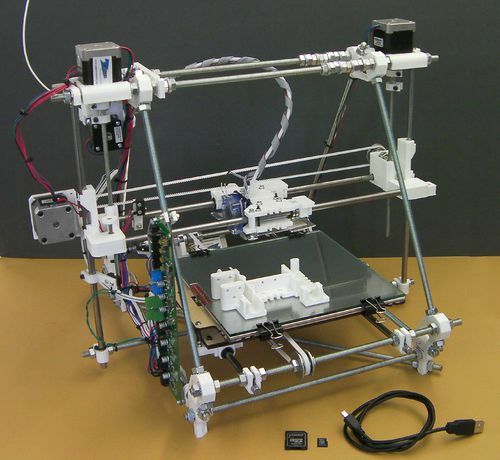 Due to its nature to replicate itself, it’s difficult to say how many RepRap 3D printers are available. However, early this year RepRap Pro and another commercial arm of the RepRap project ceased trading due to the huge volume of low-cost 3D printers on the market. However, RepRapPro China continues to operate. This is a controversial item to own. Some are supportive of it because it is a great tool for self-defense but others are concerned that being lenient on guns may result in increasing crime rates. If you believe that you are a responsible gun owner but can’t ensure yourself a gun license, 3D printing a working gun is not illegal. 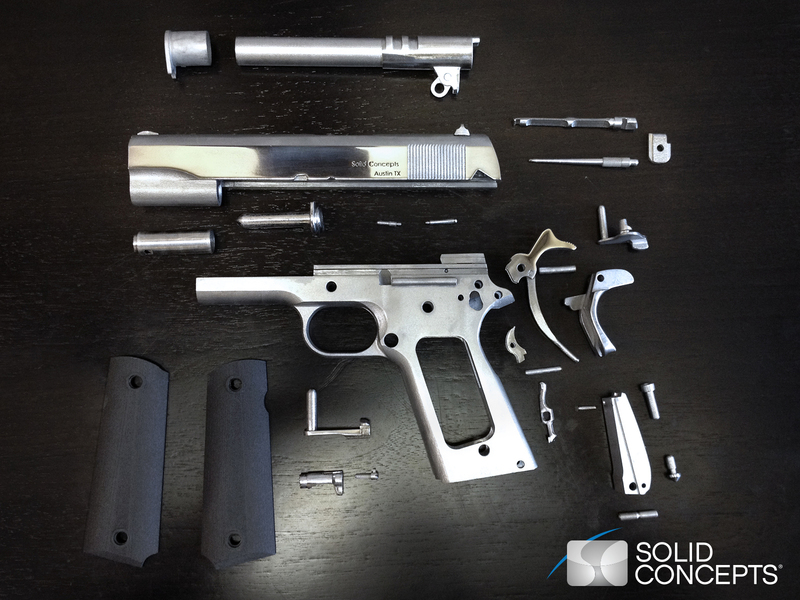 Yes, you read it right, you can 3D print a gun for self-defense. According to reports, the 3D printed gun is semiautomatic, untraceable and legal. However, the US State Department has started banning the 3D printed gun files online. 3D printed guns is definitely one of the most controversial and interesting 3D printed object in the 3D printing history. Designing a vehicle is complicated but 3D printing is best as what it does that it can produce a 3D printed car. The car we are talking about here is not a toy car, you can actually use it for a ride. Aside from being usable, designing a 3D printed car is fast and easy to manufacture. For instance, Local Motors developed Strati, a 3D printed electric car for only 44 hours. So if you want a unique car or if you have a model of the car of your dreams it is possible to bring it to life with 3D printing. It might sound absurd to think of an edible food from a 3D printer but this is possible. 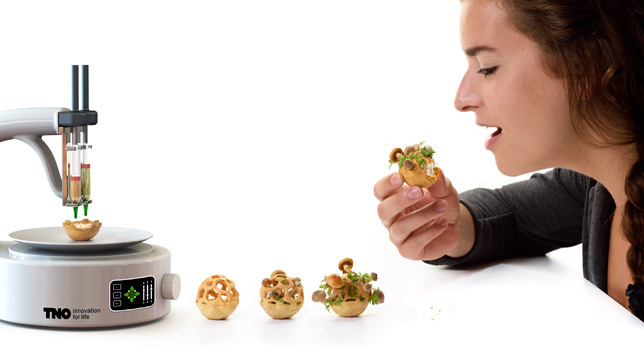 In fact, 3D printed food is among the most healthy and nutritious food for you. While regular 3D printers use plastic, 3D printed food are produced from healthy ingredients including algae, beef leaves, seeds, spores, and yeasts. 3D printers are not only good at manufacturing usable items, they are also capable of bioprinting muscle, tissues, bones and organs. In fact, there have been 3D printed human ear, kidney, liver and heart. 3D printing organs is a potential solution to shortage of donor organs and these is one of the best 3D printed objects as it can extend life, which makes it a huge breakthrough in 3D printing and medicine. There are instances when prosthetics is necessary, say for someone born without hands or feet or someone who has gotten into an accident and lose her ears or break his jaw. 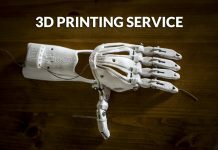 With 3D printing prosthetics are easier, faster and more convenient to make.3D printed prosthetics are also customizable for a better fit and not to mention, it is much cheaper. Overall, with 3D printer having the ability to print prosthetics, individuals needing it will need not wait for months or years to enjoy the comfort that they are wishing for because the prosthetic can be done in a day. Aside from providing you with a working gun, an edible food, a rideable vehicle and a working organ and reliable prosthetics, 3D printing is also capable of 3D printing huge objects like an apartment building or houses. In China, one company named WinSun claimed to have printed 10 houses in just 24 hours. The process saves tons of materials and time than the traditional construction method. Overall, the company saves about 60 percent of construction waste, 70 percent of production time and about 80 percent of labor costs. The future of fashion is 3D printing and designers are aware of this. 3D printed clothes are not new in fashion and design. In fact, there are already 3D printed clothes since 2010 and the trend continues today. For those who wanted a complicated design for their fashion collection but have little time to prepare then, 3D printing can help you realize your collection in no time. Overall, a 3D printer has a huge potential in fashion and design. It might also pave the way for you to eventually 3D print your own clothes anywhere you are as long as there is a 3D printer. Check our guide on 3D printer filament types. For musicians who love to play guitar, you can now personalize your favorite instrument with 3D printers. Scott Summi showed the world that a 3D printed acoustic guitar is possible. The said instrument is a working one, which makes it even more amazing. Aside from designing your own guitar, you can also make a 3D replica of your idol’s guitar. With 3D printer, you can manufacture one for yourself. Actually, aside from 3D printed guitars, 3D printers can also produce other playable instruments like saxophone, violin, flute, trombone and banjo. Among the most useful and efficient items that you can 3D print are tools that you can use at home, which usually includes a hammer and a wrench or tools that you use in your car like a platform jack or a car windshield ice scraper. These are among the basic tools that you should find in every household and with a 3D printer you can print one anytime you need it. How do you find 3D printing after finding out that it can help you produce these cool 3d prints at the comfort of your own home? If you love 3D printing, share with us the next object that you want to 3D print. Is it among the 3D printed items listed above? If you wish to learn more about 3D printing, feel free to check our homepage.